Momo and I were invited to a friend's house recently for dinner. 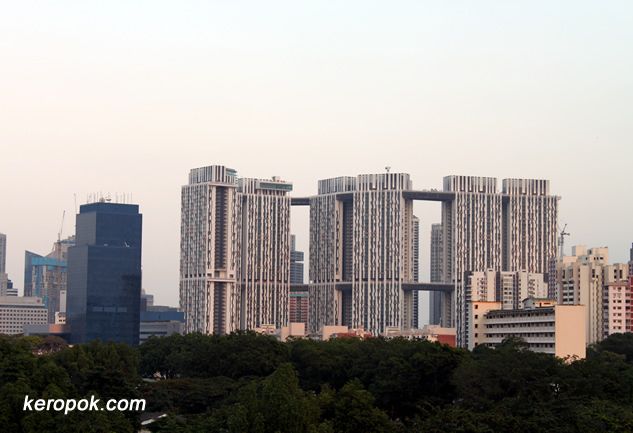 We realise that they have good view of the Pinnacle@Duxton! You know what I am thinking as I view this? I want to stay there! The 26th and 50th floor as joined and they have a jogging track there. Why jogging? I read this article that jogging or aerobic exercises can help grow brain cells! Yes, there are more and more articles by neuroscientists that tells us we can still grow gray matter! I have become quite forgetful recently. I need to exercise more!